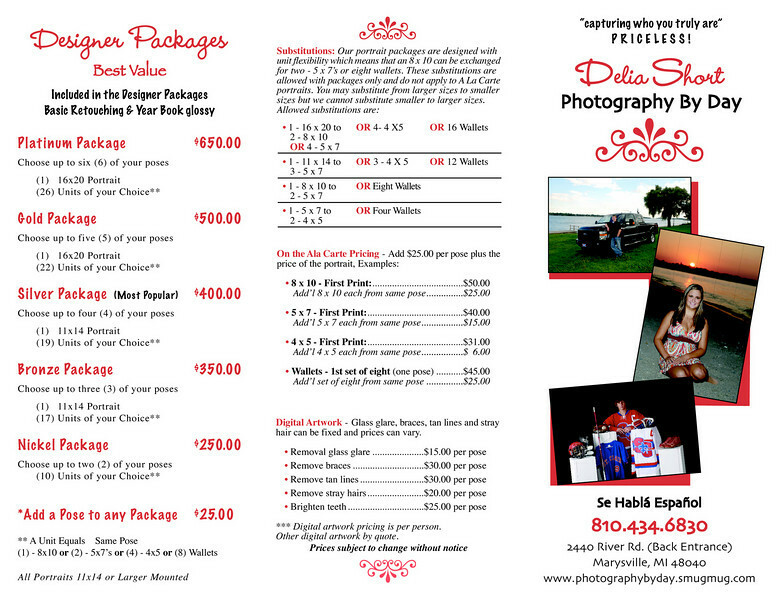 Below you will find my brochure which contains all of my current prices. Senior Brochure page 1. Click image to enlarge. 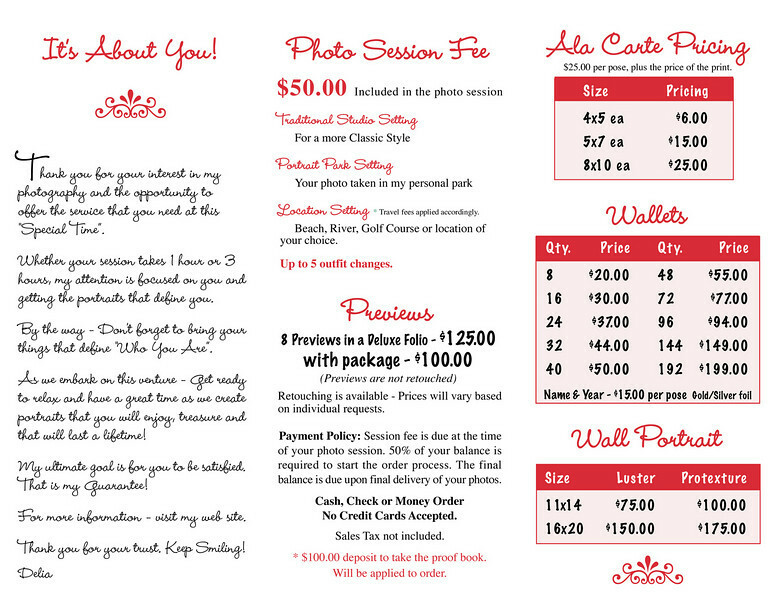 Senior Brochure page 2. Click image to enlarge. 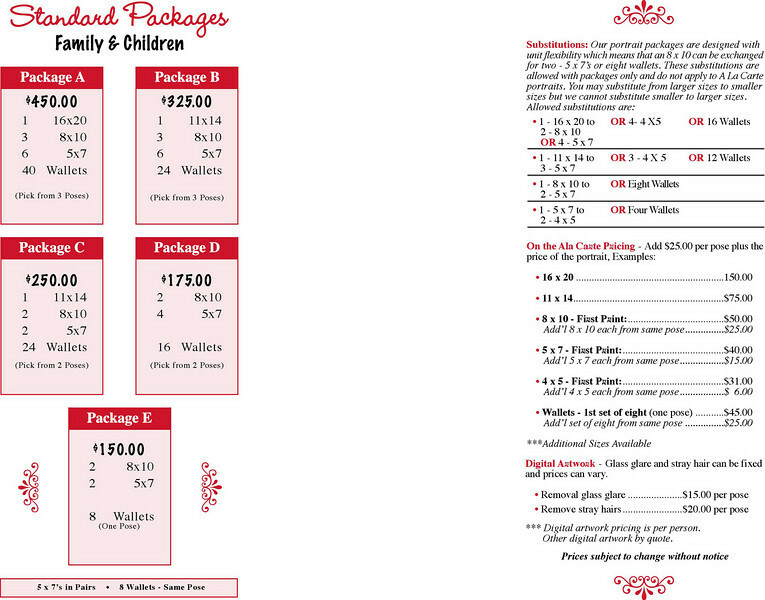 Brochure for Family, Children and Pets. Click image to enlarge.